When spring arrives there is a feeling of newness in the air which reminds us that it is time to clean and freshen up our home. Before you start your spring cleaning —regardless of the scope of your cleaning project—consider using self storage to help make your spring cleaning task easier. Furniture and other items can be moved into storage to allow for thorough cleaning. And if you decide it is also time to redecorate, you’ve already removed the outdated items and can keep them out of the way until you decide what to do with them. It’s easier to keep track of your progress if you work from the ceiling down. Start with dusting and washing ceiling fans, corners, and light fixtures. Wipe down and scrub walls, furniture and, finally, floors. Follow a similar plan for washing windows: clean the inside of the window from left to right and the outside from the top down to more easily find streaks and determine which side they are on. Spring is a good time to replace your smoke detector batteries (generally they should be changed twice a year, usually fall and spring). Also, test the smoke detectors and clean off any dust. Do the same with carbon monoxide detectors if you have them. Clear off all shelves, counters, and other flat surfaces and wash thoroughly. Clean knick-knacks, dust off books, and throw away all dust-bunnies. If you’ve accumulated papers, bills, etc., spring cleaning is the perfect time to sort them, file documents in your self storage unit, and recycle junk mail, newspapers, magazines, and any other unwanted papers. Be sure to shred old bills or anything that has your personal information before throwing it out. Pull all large appliances—refrigerator, stove—away from the wall so that you can get to the sides and the floors. Notice all the hidden spills you can get up with the appliances pulled out of the way. Be sure to wipe the walls. Does your spring cleaning plan include painting walls or shampooing carpets? If so, you might want to move your furniture to a self storage unit until you are done. Lay mattresses and other large pieces of furniture on a tarp in the driveway or some other clear spot, for a few hours. Ultraviolet radiation from the sun and the sun's heat will help eliminate microscopic pests. You might also follow this up with a thorough steam cleaning for fresher feeling and smelling furniture. Gather out-of-season clothing and prepare them for storage. Wash or dry clean, mend minor tears, and sew on missing buttons. Look carefully at all clothes and throw out anything that is too worn or that you no longer wear. To keep clothes looking good and for easy transfer to your storage unit, use a wardrobe box with a hanging rod. While deep cleaning, you are bound to come across things in need of repair. Make these repairs now before they get worse and end up costing you a fortune. Once you are done with all repairs, get tools you don’t normally use out of the way by storing them in your self storage unit. It is also a good idea to put tools that may be dangerous to children into your storage unit to prevent needless accidents. Remember that the vacuum can’t reach everywhere, so be sure to get those hard-to-reach places with a broom. Clean out air vents and get the dirt in window, French door, or door wall tracks. Use a soft rag to wipe down crown moldings and window frames. 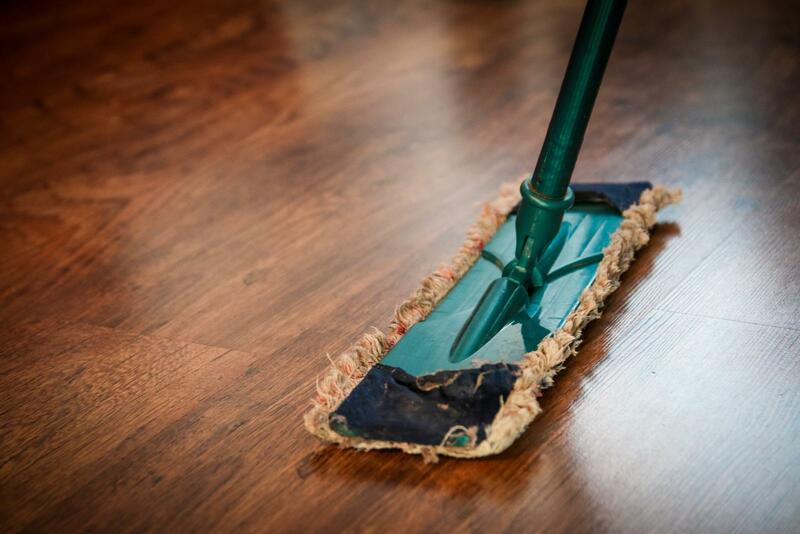 Chances are that the outside of the house needs as much cleaning as the inside. Power wash grime from the siding or bricks. Remove wasps’ nests and spider webs. Use the hose or a power sprayer to remove stains and dirt from the garage floor. Along with cleaning the exterior of the house, spring is also a good time to use your trimmer as well as buy some fresh mulch. Weed flower beds and replant if needed. When you are done with the garden tools, keep them in trash barrels in your self storage unit until the next time they are needed. Self storage is this perfect solution for storing garden tools. Let’s face it: spring cleaning is a lot of work. However, a brighter, safer, fresher home—along with the new perspective it gives you—is worth it and is a huge step on your way to meet more of life’s challenges! Another way to clean up your home is to hold a garage sale. If you are considering a garage sale, please check out our Storage Tip article on "Garage Sales and Storage". If you need a storage unit to help you with your spring cleaning or garage sale, we hope you come see us at San Clemente Self Storage or give us at 949-366-1133.